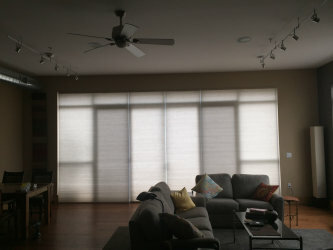 Durango Discount Blinds is recognized as Durango's premier custom-blind service! We are truly a “come to you” service, with years of experience providing an accurate and competitive bid on the spot. Explore a variety of products from our trusted manufacturers like Graber, Spring Window Fashion and Blynco, a premier American manufacturer. 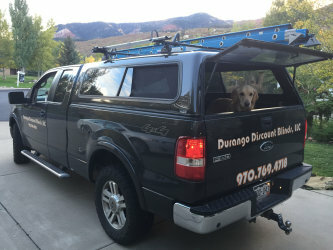 We are the only locally owned and independently operated window covering shop in Durango, which means we are committed to this community and providing outstanding service. Our reviews speak for themselves! For Durango Discount Blinds, providing excellent customer service and fostering a positive community relationship is paramount. We are committed to those we serve, understanding that each element that makes up a home is only a part of a greater whole. With this in mind, we're invested in our products and customers, striving to go above and beyond to bring you the most affordable custom blinds. Accent and enhance your home, without breaking the bank. We believe in doing the job right the first time--no shortcuts or cutting corners. You can count on the tried and true products that we're proud to stand behind, 100%. We share our knowledge and expertise so you can understand and appreciate the products you’re paying for. 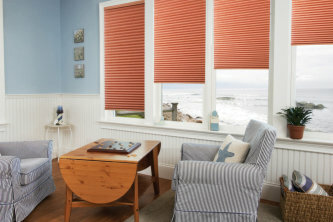 This understanding enables us to outfit your home with the most affordable, and appropriate, blinds. Our relationships here in Durango are crucial to us, which is why all of our blinds and covers have a lifetime warranty. We’ll repair your blinds and return them right to your home. We are very happy to nominate Adaptive Sports Association, providing sports and recreational opportunities for people with disabilities since 1983, as our non-profit of choice!